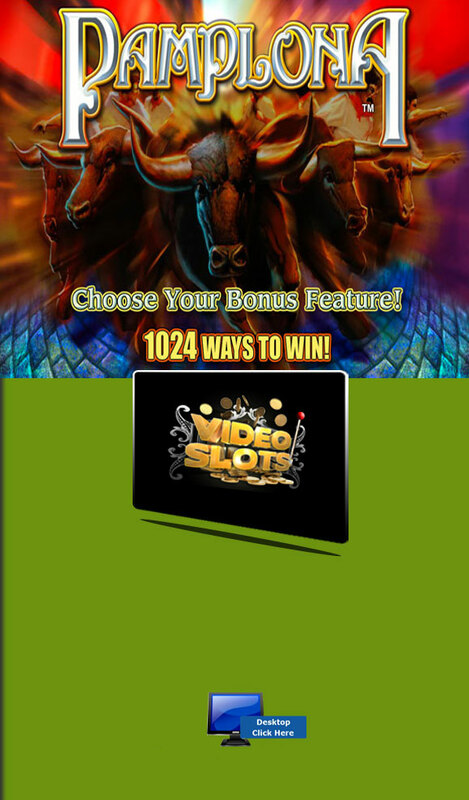 5 Reel, 1 024 ways to win video slot with Multilines, Free Spins, Scatter and Wild Symbols. 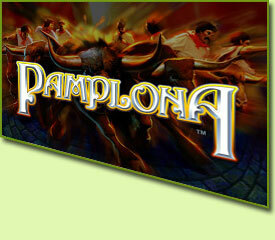 Based on the annual Spanish San Fermin Festival – Running of the Bulls. 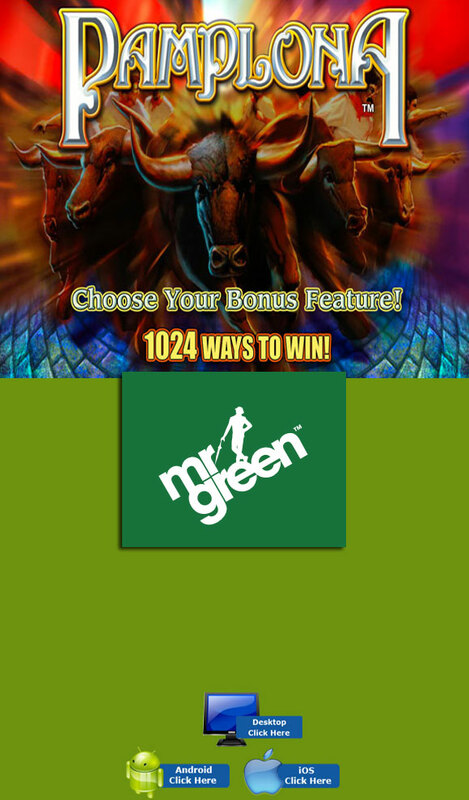 The minimum bet is 50.00 when betting all 1 024 ways, minimum coin bet is 50 coins and the lowest denomination is 1.00. 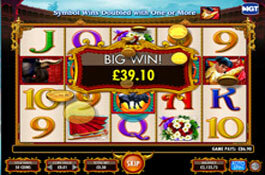 Players can bet up to 2 500.00 per spin using the 50.00 coin value. The Matador Wild will substitute for all other symbols except the Scatter to form winning combinations. 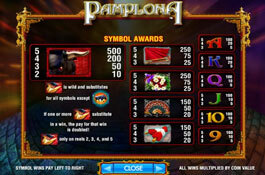 The payout on these winning combinations gets doubled. The Matador can appear anywhere on Reels 2, 3, 4, and 5. Land 3 or more Bull symbols across the reels to trigger the El Toro Bonus feature. 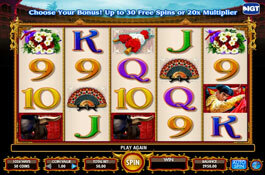 Free Spins can also be re-triggered when landing the scatter symbols across the reels during the free spins. 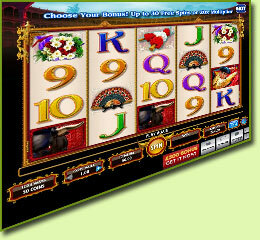 Free spins can be re-triggered up to three times.